Michael Doyle is featured in Windermere’s company video promoting what it means to be a Windermere agent. Michael is filmed in front of his sold Windermere Premier listing in Seattle. 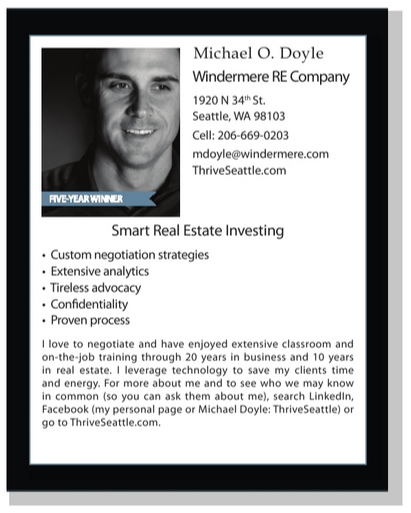 Michael Doyle is selected as a 2014 Five Star Real Estate Agent. Five Star Professional partnered with Seattle Magazine to identify real estate, mortgage and insurance professionals in the Seattle area who deliver outstanding service and client satisfaction. 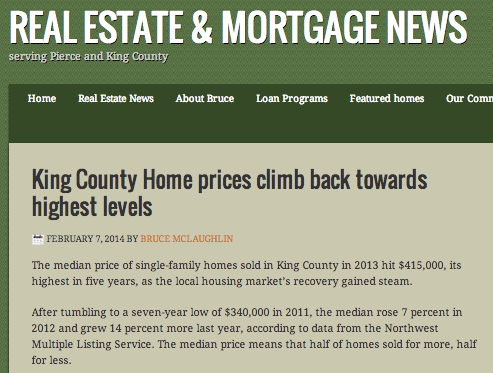 Quoted in Bruce McLaughlin’s Real Estate & Mortgage article King County Home Prices Climb Back Towards Highest Levels, Michael Doyle discusses the Seattle Real Estate market. Entertaining with Ease Radio Broadcast KKNW featuring guest, Michael Doyle. Listen to the broadcast.